With the takeover of Yemen by Shiite rebels, Western nations are stumbling over themselves to evacuate diplomats. The US announced its embassy’s closure, and Britain and France are soon to follow. But also racing for the exit is the CIA, potentially leaving Yemen – and the world – vulnerable to al-Qaeda attacks. In the last three years, there have been 90 US drone strikes in Yemen, according to Long War Journal. Despite these efforts – or perhaps because of them – the United States was unable to prevent Houthi rebels from overtaking the capital of Sanaa, and on Tuesday, the US State Department confirmed it was closing its Yemeni embassy. US officials told the Associated Press that the closure would not affect counterterrorism operations in the country, but many of those drone strikes were based on intel from CIA officers working out of the embassy. Already the CIA has pulled dozens of analysts, operatives, and staffers from Sanaa, according to officials speaking with the Washington Post. It was the job of many of these officers to work with Yemeni intelligence to seek out al-Qaeda terror plots. Their departure worries many intelligence officials. Other officials speaking on condition of anonymity to the Post said that the CIA drawback is “extremely damaging,” and that “the political turmoil in Sanaa and the closure of the embassy all play into the hands” of al-Qaeda. None of this is to say that CIA operations inside Yemen have completely halted. In recent days there have been three drone strikes on al-Qaeda targets. The problem comes from the fact that the accuracy of these strikes has largely depended on coordination between US and Yemeni intelligence, and without an embassy, that communication channel is effectively shut down. Presumably, this is the same kind of cooperation that led to a drone strike killing 12 innocents in a wedding convoy in 2013. One can only imagine the efficiency of a drone program without that level of transnational communication. While the new Shiite government hasn’t given the US any authorization to carry out these most recent airstrikes, it also hasn’t demanded that they stop. 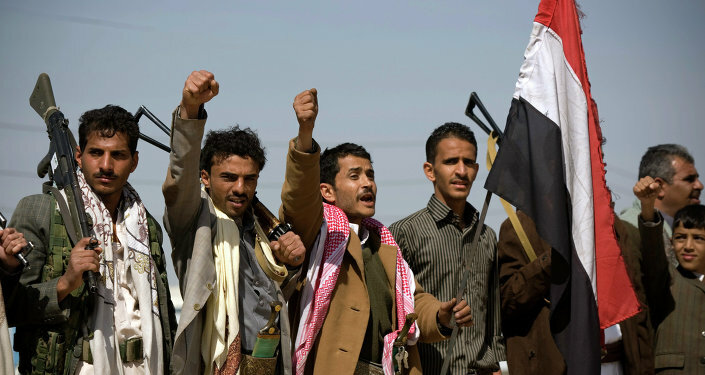 “If the Americans were to change their strategy and show respect for Yemen’s sovereignty, we would not oppose the drones,” Abdulmalek al-Ajri, a member of the Houthis’ political bureau, told the Post. The CIA’s absence is particularly concerning since the Yemeni branch of al-Qaeda is a dangerously ambitious bunch. They have been linked to a failed attempt to bomb an airline on Christmas Day in 2009, and the group claimed at least partial responsibility for the attacks on Charlie Hebdo in Paris last month. Flash forward a few months, and the US is abandoning vehicles and weapons at the Sanaa airport in their scramble to get out.